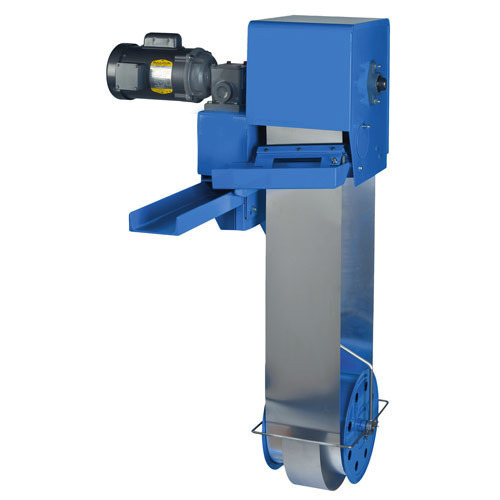 We are among the reputed organizations, highly engaged in providing an optimum quality range of Tube Type Oil Skimmer. Our offered oil skimmers are widely acknowledged among our clients for their long operational life and zero maintenance features. The provided oil skimmers are precisely manufactured using the qualitative grade raw material and modern technology. These oil skimmers can be availed by our clients at most competitive prices. We “Global Marketing & Services” situated at Pune (Maharashtra, India) are leading organization occupied in Manufacturing, Exporting and Supplying highly reliable range of Industrial Filtration Systems, Band Filters, Vacuum Filters, Magnetic Separators, Industrial Agitators, Chip Conveyors, Industrial Cooling Systems, Oil Skimmers and Cold Rolling Mills. Under the inspiring guidance of our Proprietor “Mr. Sunil Sabnis,” we have created a strong foothold in this domain and have resulted in receiving Rajiv Gandhi Shiromani Award, Gold Medal for excellence from Global Economic Council and Indira Gandhi Sadbhavana Award. Since our establishment in the year 2001, we are supported by state-of-the-art infrastructural base that spread across 4500 sq. ft and comprises various units such as procuring, production, quality testing, R & D, sales & marketing and transport & logistics. All these units are equipped with requisite amenities and runs under the supervision of capable professionals.